On our first road trip we take time to get to know the woman behind Neffa's creative ideas, surprising angles and unexpected technological innovations. Our road trip series begins in the company of founder of Neffa, the talented designer Aniela Hoitink. An advocate of distinctiveness, Aniela firmly believes that individuality in people and materials are the elements that make the world a special place. As part of our road trip series, we took the afternoon off, to go and visit Aniela in her work environment, a studio in Amsterdam. 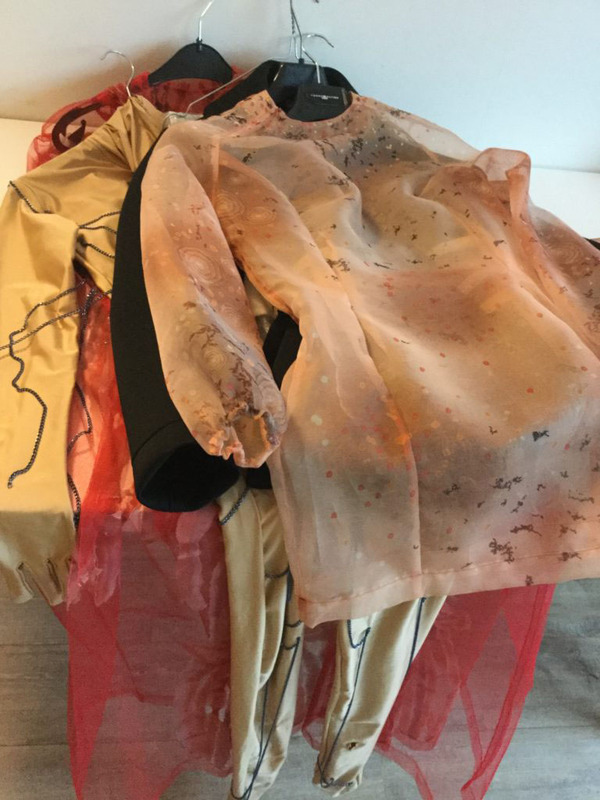 Fascinated with technology and microbiology, we looked forward to hearing more about Aniela’s designs. We learned before hand that she does not take a clinical or sterile approach to technology, instead, her approach is personal and reflects each person’s individual style. Her studio is located in her home. The space that she has dedicated to working on textile innovation seems to embody who Aniela is. Tidy and clean, her space is welcoming and boasts a lot of light warming up the place. With views of nature peeking through her window, it was her mood board that gave us a look into her creative mind. After general chit chat, we settled down to talk shop. As we sipped our drinks, the three of us fell into easy conversation. Speaking passionately about the what’s, where’s and how’s of the fashion tech industry, it was great to find out that Aniela was not shy about sharing her thoughts with us. 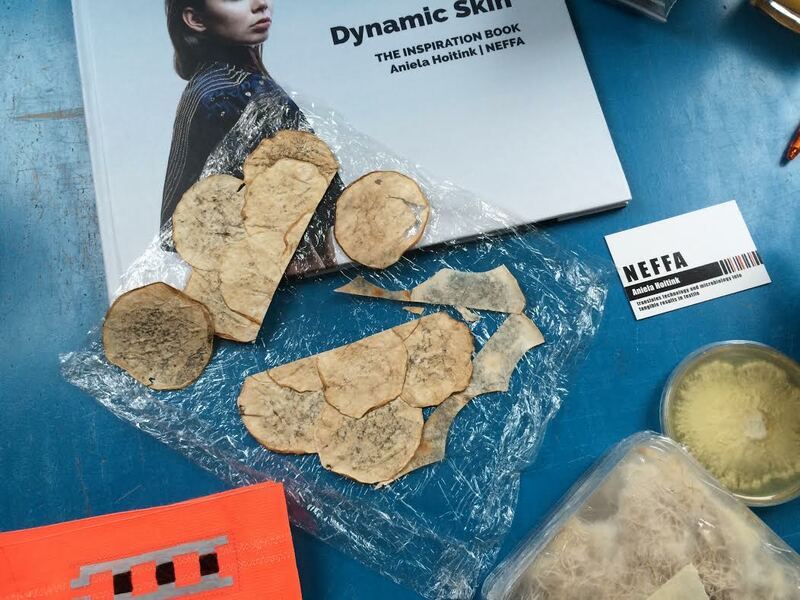 The best part of the day was when Aniela took us by the hand through her projects, including her latest one Dynamic Skin, which was on display at Dutch Design Week a few weeks back. As she spoke about her achievements and challenges, I quickly learnt that Aniela has her own way of looking at the world. She is a woman, easily described as a creative designer, a brilliant scientist and a driven engineer. I loved how Aniela, in a chilled manner, shared that she might not invent innovations, but she understands better than anyone how to put them to use and bring them to life. It was with those words that our interview began. WE THINK THAT YOU ARE THE ORIGINAL OG WHEN IT COMES TO FASHION TECH. (Laughter) Yes, I guess I am. I launched Neffa in 2004. 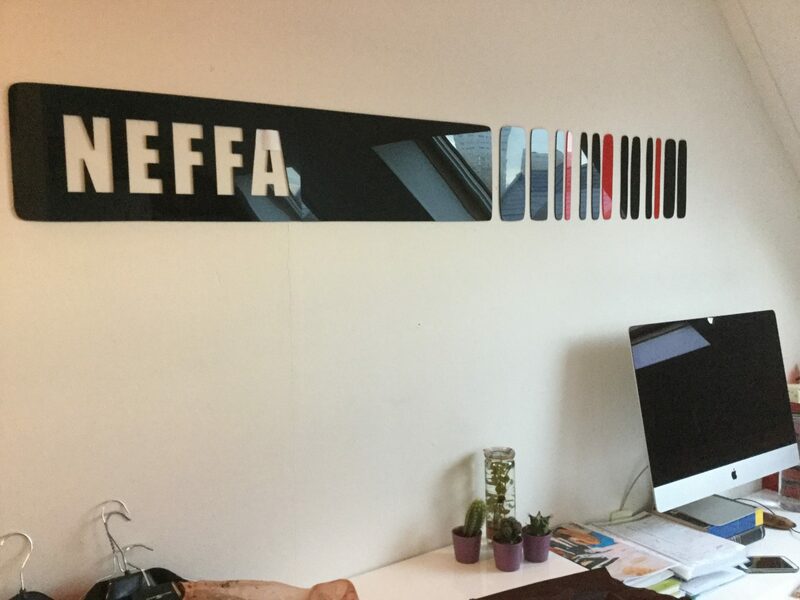 Neffa means “net effe anders” in Dutch, meaning: “Just slightly different”. Before that, I worked for various fashion companies like Tommy Hilfiger and Gaastra. She is a designer who is open, curious and always looking to learn. I think that these are traits that in my opinion you need to have as a designer. TELL US A LITTLE BIT ABOUT YOUR LIGHTBULB MOMENTS? Well, I usually start with an idea, which I then research. The funny thing is, the idea I had at the beginning always evolves into something I didn’t foresee. WOULD YOU CALL YOURSELF A FASHION TECH DESIGNER? I do not like labels. Fashion tech is what I do, it is not what I am. But if I had to call myself something, then I guess I am a designer. WHAT DO YOU THINK OF THE MERGE OF FASHION AND TECHNOLOGY SO FAR? The use of technology in the fashion industry is, at present, limited predominantly to gadgets and accessories. Some of the ideas that people are coming up with are brilliant and others are goofy. I like to think that my ideas are both wearable and applicable. Also, when I come up with ideas, I strive to make sure that they are ‘normal’ and unique at the same time. WHAT ARE YOUR THOUGHTS ON DESIGN LIMITATIONS? Well, I like to take limitations and turn them into a positive design feature wherever possible. I am not inspired by who but more by what. I am inspired by nature and the human body. YOU HAVE MADE A NAME FOR YOURSELF WITHIN THE FASHION TECH SPACE, HAS THERE BEEN A MOMENT THAT YOU THOUGHT ‘THIS IS IT’? My ‘this is it’ moment’ was when I was featured in New Scientist magazine. That was such an achievement for me. I am open to collaborations with open minded individuals willing to work with me. In order for a collaboration to be successful, I believe, that both parties need to be willing to explore. I believe that design and technology needs to be a perfect match before working together. IF YOU COULD CHOOSE WHO WOULD YOU LOVE TO COLLABORATE WITH? I would like to work more with scientists. YOU SEEM TO BE A PROBLEM SOLVER, WOULD YOU SAY THIS IS A FAIR DESCRIPTION OF YOU? (Smiles) I never thought of myself that way, but I guess I am. SUSTAINABILITY PLAYS A KEY ROLE IN FASHION TECH, WHAT ARE YOUR THOUGHTS? 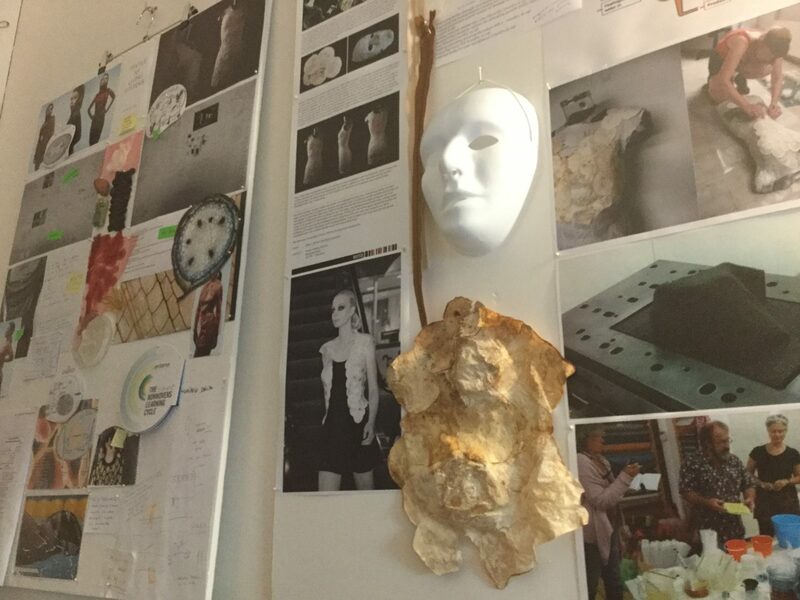 I would like to integrate technology and biotechnology in a way that helps us achieve more sustainable fashion. But on the whole, I think that when it comes to sustainability it is our wallet that is deciding what we buy. IN YOUR OPINION, WHY DO YOU THINK THAT SOME WEARABLES ARE NOT BEING ADOPTED? The main problem is that fashion is being brought in at the end stage of product development. Fashion needs to be introduced at a much earlier stage so it can work alongside the technology. Also, there is no money for R&D in fashion, which is problematic. WE LOVE YOUR CHAMELEON SCARF, TELL US HOW IT WORKS? At a glance, technology and fashion might seem difficult concepts to unite. Yet if combined properly, they can enrich each other wonderfully. The Chameleon Mood Scarf shows just how far textile and clothing can adapt to the user, making products more personal and meaningful. The pattern in the 100% white silk Chameleon Mood Scarf reacts to the mood, light and temperature by featuring photochromic, thermochromic and photoluminescent inks, which creates a permanent sense of comfort, warmth, peace and safety. Neffa Chameleon Mood Scarf Changes color by reacting to your mood, body temperature and climate. TELL US ABOUT YOUR LATEST PROJECT, DYNAMIC SKIN? In this project I explored what possibilities technology offers for making textile organic and alive. Dynamic Skin is based on how textile should respond to the user instead of the other way around. I believe that innovation should create textiles that are much more alive, to reaffirm our connection with them. This can be achieved with textiles that respond to the wearer’s needs, for example, actively providing protection or care without any conscious thought on the wearer’s part. This is the idea behind Dynamic Skin. WHAT BEST ADVICE DO YOU FOLLOW YOURSELF? When it comes to creating a product have a target group in mind. Do not target everyone. The FashNerd team’s Roadtrip Series takes readers on a journey that explores the person behind the accomplishments. Be sure to catch up on previous articles.